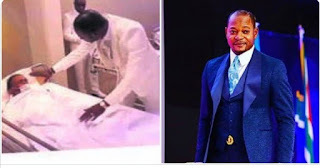 According to the man's sister, he stopped taking his anti-retro viral medicine after the 'resurrection pastor', Pastor Alph Lukau prayed for him. He believed he was healed but the virus ended up claiming his life a couple of months ago. Nomthandazo Ndaba said her brother, Zakhele, stopped taking his HIV medicine after Pastor Alph Lukau laid his hands on him. Zakhele lived a healthy life with the virus for four years before he stopped taking his ARVs. Nomthandazo said her brother was a staunch follower of the church. “He never missed a service. He insisted on going even when he was clearly not fit to attend,” she said.